Ten years ago (2006) Lars Akerlund opened a coffeehouse on 58th Street in Manhattan called FIKA – a Swedish word pronounced “FeeKah” that translates into taking a coffee break to indulge in the ritual of conversation, often accompanied by something sweet or savory. According to Akerlund, having a daily FIKA is a way of life in Sweden and an important part of the culture. It offers a way of both relaxing and staying connected. And, in New York City who doesn’t need to relax and stay connected? Today, there are 17 FIKA locations all across Manhattan for New Yorkers and visitors to have breakfast, lunch, brunch, or simply to relax over a cup of coffee made from 100% Arabica beans, sourced from Brazil, El Salvador, and Ethiopia and roasted in Brooklyn in accordance with a traditional Swedish method to ensure a smooth yet bold cup of coffee with no bitterness. But, coffee is only part of the attraction. 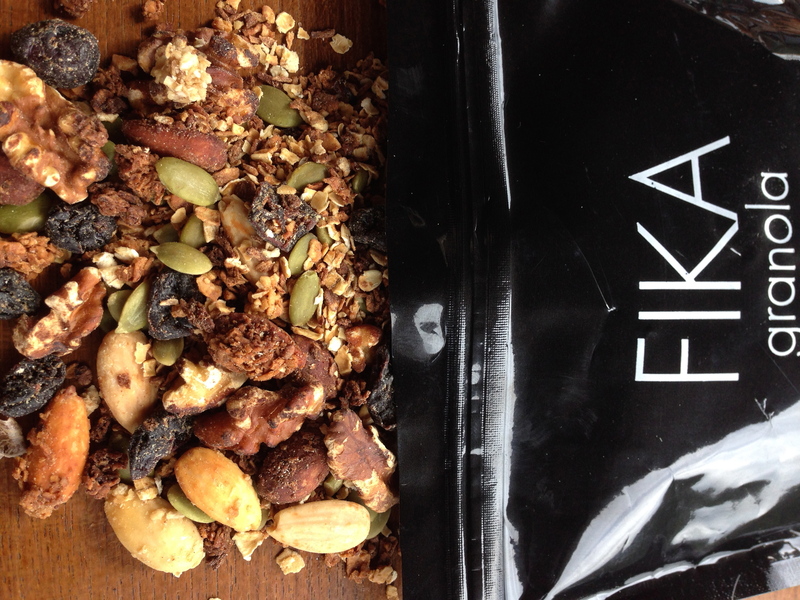 FIKA is also known for their scrumptious granola made with 8 ingredients: oats coconut, walnuts, honey, raisins, almonds, pumpkin seeds, and cranberries. That’s it. No added sugar. No added oil. No added salt. No preservatives. And, no artificial flavors or colors. Simply wholesome real oats, nuts, seeds, fruit, and honey. Made by hand in Brooklyn, FIKA Granola is unique in that every single nut, grain, and fruit is roasted to give the granola both flavor and texture. Crunchy, chewy and full of flavor, FIKA Granola is delicious with almond or cashew milk or as a topping on yogurt or ice cream. 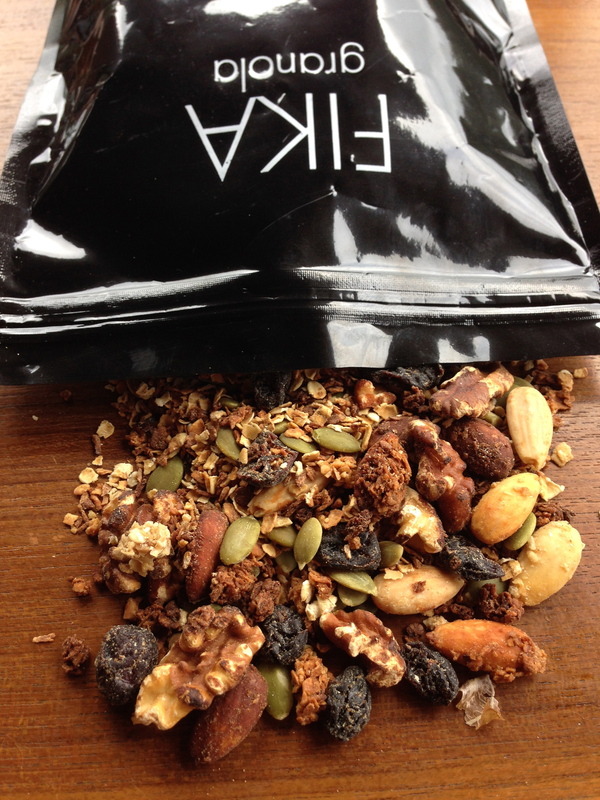 Sold in a 1 pound (16 ounces) resealable packet, FIKA Granola sells for $9 at any of the FIKA stores or through their on-line store: www.fikany.com. The bag is beautiful but what’s inside is even better.